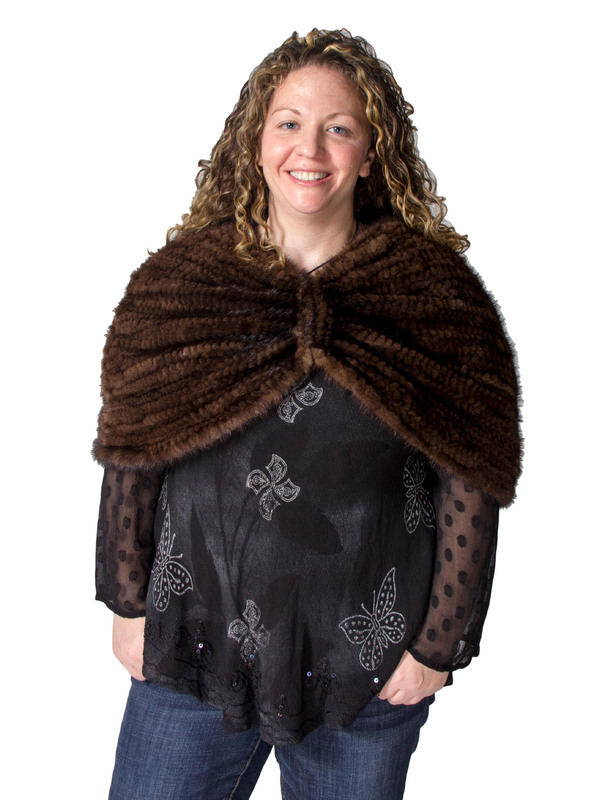 Exclusive Adrienne Landau mink capelet makes a great impact with a textural, knit construction and slimming, gathered front. Wear around your shoulders with a strapless cocktail dress to create a glamorous, vintage vibe. Natural brown/demi buff mink (Denmark) knit. V neckline; hidden hook and eye closure. Gathered front creates cutaway hem. Elbow cape sleeves. Cropped under bust.